Affordable excellence — these are our least expensive, yet 100% custom shaped, and most popular lapel pins — you can say these are cheap pins that look ridiculously great. 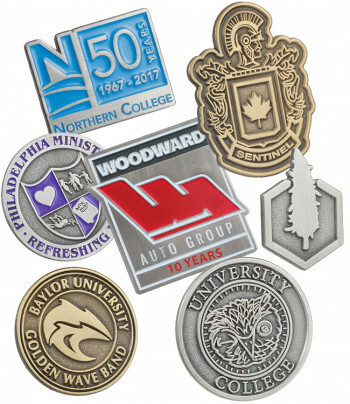 Created to your design's shape and / or logo specs, they are a wonderful choice when you want large quantities or simply when you do not need a more expensive lapel pin. 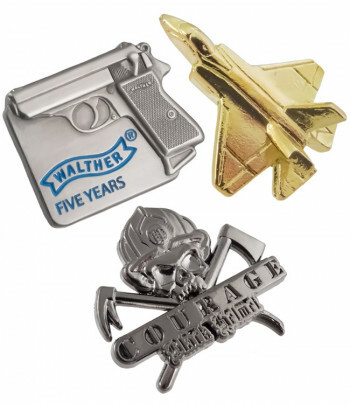 Die struck, and created in much the same way as our more expensive struck pins in solid metal, our premium value pins look very similar; in fact you'd be hard pressed to tell the difference. Also available with popular "clothes saving" magnetic attachments. 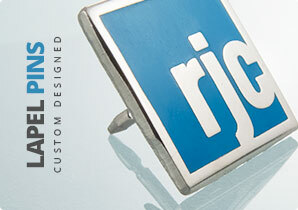 In terms of beauty to eyes and budgets, our embossed + epoxy coated lapel pins are standouts. A very popular style, your design is delicately die struck into a metal base, electroplated, soft enamel coloring is added, and all is topped of with a thin layer of contrast enriching and protective epoxy. 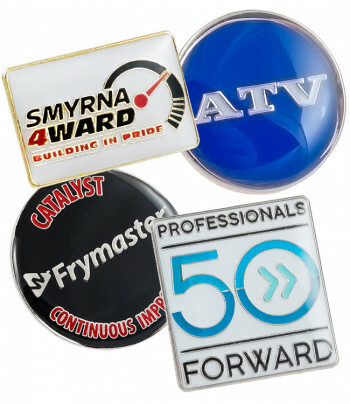 Embossed + Epoxy Coated lapel pins make a great choice for a multitude of occasions. Also available with popular "clothes saving" magnetic attachments. Our antiqued lapel pins provide exceptionally crisp and sharp detail, accentuated with beautiful contrasting relief. Featuring raised areas that are brighter, and recessed areas displaying a darker oxidized appearance, the result is a very clean, very distinctive and elegant look. Available in a multitude of platings. Made with premium brass base metal. Optional highlighting cubic zirconia are available. Soft enamel color fills also available. Also available with popular "clothes saving" magnetic attachments. 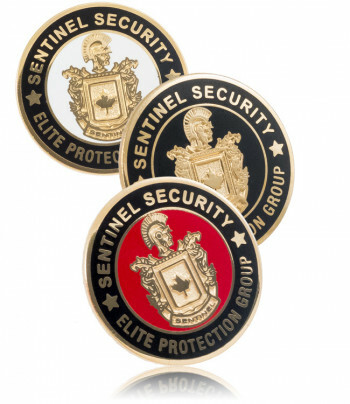 Premium enamel lapel pins feature the beauty, durability and quality matched only by the ancient enameling process of Cloisonne, but, with the major modern advantage of PMS color matching (over 1,000 Pantone colors). 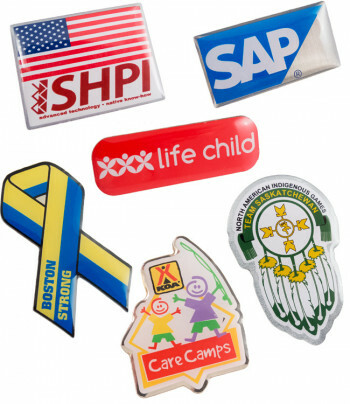 Create a custom lapel pin with durable hard enamel — where the color is level with the metal — which is vibrant, colorful and accurately represents your logo or corporate identity. Available in a multitude of platings. Made with premium brass base material. Our matte + polished, also called sandblast, lapel pins provide very sharp detail delineation with their beautiful contrasting relief. Your graphics raised areas will be highly polished, and the recessed areas will feature an exceptional looking matte, or frosted, matte finish. The result is a clean, distinctive and elegant look in silver, gold or copper. Manufactured of premium brass for smooth edges, a fine polish and a high quality overall look and feel. 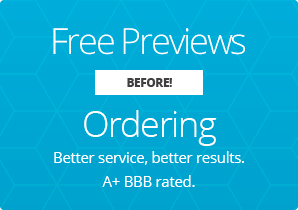 Do you have a graphic, logo or artwork that features gradients or other photographic effects? Maybe your design is in fact a photo? 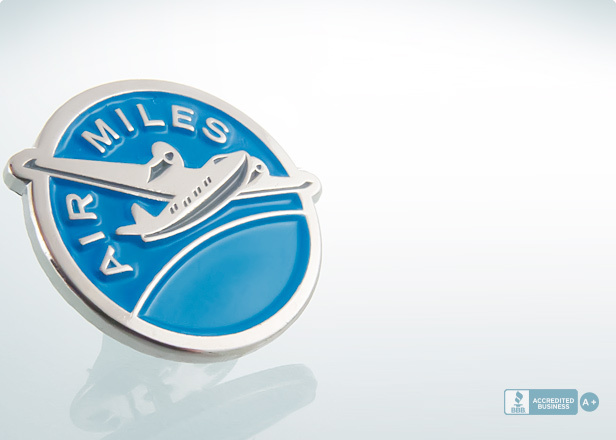 Not a problem — our full color lapel pins are the answer. 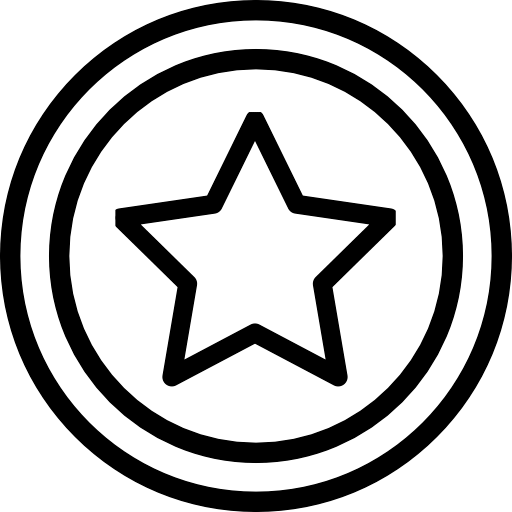 They allow any logo, design or even a photograph to be recreated exactly, without the need for fine metal lines around colors. These can also be made into any shape — from traditional shapes to more exotic varieties, any shape is possible. 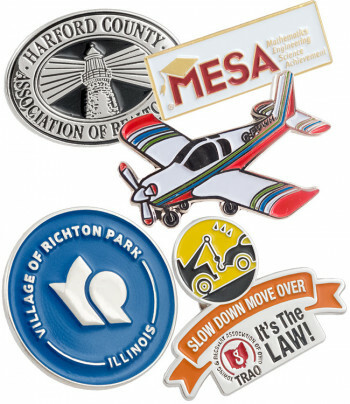 We can manufacture them with a 1mm border of metal showing, or, we can run the graphic right to the very edge of the pin. For added protection and the best presentation, we also add a layer of epoxy on the surface of the pin. Also available with popular "clothes saving" magnetic attachments. 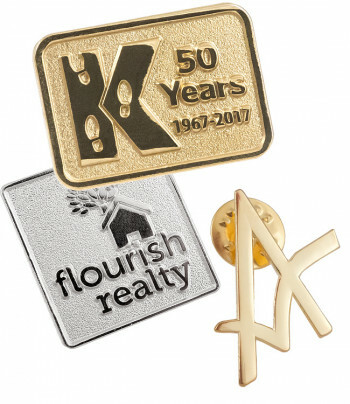 Our 3 Dimensional lapel pins provide multiple levels of relief, precise curves and "topographical" effects, and detail. Stunning in appearance, they are simply fantastic for reproducing animals, architectural replicas, miniature products and logos in three dimensions.